Mitchell and I also talked about Oculus’ announcement of lowering the price of the Rift + Touch by $200, their twelve new games premiering at GDC, as well as a number of important issues concerning the future of virtual reality. There are a lot of exciting new possibilities that could come from Oculus’ support for WebVR and the Khronos Group’s OpenXR initiative, but we also had a chance to talk about some of the challenges that Oculus has faced this year including some of their tracking regressions and some of the limitations of front-facing camera set ups when it comes to abstractions of embodiment. Oculus is mostly taking a passive approach to privacy in VR where they’re prioritizing the needs and concerns of Facebook, which is reflected in how much data sharing rights are being provided to Facebook. The following is a sampling of data that when combined together could allow Facebook to determine personal identifiable information about you: including your IP address, certain device identifiers that may be unique to your device, your mobile “device’s precise location, which is derived from sources such as the device’s GPS signal and information about nearby WiFi networks and cell towers,” “information about your physical movements,” and “information about your interactions with our Services.” Facebook will know that it’s your VR headset, where you’re located, and different actions that you’re taking from capturing everything you’re doing in VR and correlating it with your identity even if you’re anonymously interacting within the context of a VR experience. Once eye tracking and other technologies that can determine facial expressions are added, there will be even more biometric data that could be able definitively identify you or whomever is using your VR headset. Since we are putting privacy in VR on trial here again in an OP-ED piece (and again focusing only on FB/Oculus) can we please do the same for HTC and other companies? Again, there is little to no evidence that companies outside the US with the exception of those in Europe with having significant value on privacy and collection of data compared to the US and even FB does a better job likely than those since it’s held to a higher standard. However, you can’t make hay with a Chinese or Taiwanese company the way you can with FB because they are just going to blow you off. Let’s keep this point in mind and hold ALL companies to a common standard for VR… and investigate them equally. Kent is not singling out FB alone, that’s just whom this article happens to be about. 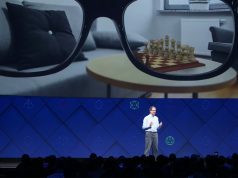 Nowhere in it does he say that FB is the only company that needs to consider the long term implications of privacy and VR. I’d also recommend checking out the list of episodes he links to at the end of the article for a lot more great discussion on the topic. This goes way beyond just Facebook; Kent has been doing great work in this area by making sure this conversation is happening and not just letting the industry leave it as an afterthought. I agree a company based in Taiwan need to be looked at closely as well, but to me it’s very clear that Facebook deserves extra attention since they’re still at the forefront of social media. Nate for his part is very knowledgeable and probably would come off better if how he delivered his talking points as well as his freeform human dialogue didn’t always feel like a marketing team making a sales pitch. So HTC/Valve push advertising on the Vive and basically nothing written about here other than mentioning it and how it will work. Meanwhile something negative towards Oculus gets a 3 page article on it. Advertising and protection of privacy are two different topics – this article is about one of them. If HTC/Vive start advertising intrusively or inappropriately, the users will move away from their platform (advertising is generally done as part of some quid-pro-quo with the user, generally the user gets content for free in return). Collection and commercial use of private information is much more insidious as it can often be done without the conscious knowledge of the participant. 1. Pushing ads and siphoning your private data are two different things, even though they often go hand in hand. 2. It’s HTC Viveport not steamVR. Trump just passed legislation allowing ISP’s to sell your browsing history and activity to anyone. 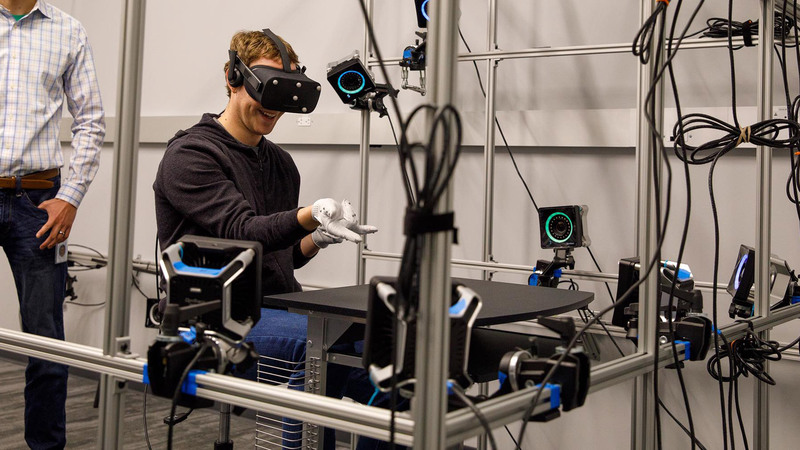 I’d think that is a bigger invasion of privacy than info about your head movements in VR. Yes, but this is a VR site. You can read articles about the rest of reality somewhere else. Right. Virtual Reality, Virtual Problems. I don’t understand how you have this attitude with Trump’s approach to privacy. If he’s in office for a second term he’ll be able to demand an incredible amount of data from Facebook if we don’t take action now. Thanks for this article! Oculus/FB’s passive approach to privacy is far from enough! It may be interesting to see how it goes with the recent recommendations published for the AI field, especially IEEE P7002 “Data Privacy Process”. Suckerberg should be thrown in jail for letting fackbook be complicit in letting Drumph hijack the election as should Drumph.